Historic 43 Herbert Street in the Greenpoint neighborhood of Brooklyn has existed since 1881 under several guises. Until the 1970s, the red-brick Romanesque Revival structure was used as the station house for the NYPD&apos;s 87th precinct, and then until the end of 1999, as a base for police narcotics operations. To the community&apos;s dismay, the landmarked George Ingram-designed building was then abandoned, despite remaining under the jurisdiction of Citywide Administrative Services. It gradually fell into disrepair over the next decade, so much so that it became a favorite location for crime dramas. Today, it no longer fits that profile, since a collaborative effort between Urban Architectural Initiatives (UAI), the North Brooklyn Development Corporation (NBDC) and local government transformed the station house into affordable housing. The three-story, 12-unit building, plus an adjoining two-story, two-unit carriage house, is now 100 percent sold, with priority given to local residents. And in keeping with the preservation philosophies of all involved, an NYPD mural remains on the north-facing façade, recalling its early heyday. "I think the community board had always hoped that something significant would happen in this vein," says David Hirsch, principal of UAI. "We didn&apos;t have capital funds to start construction when we commenced the design, but we took our &apos;dog and pony show&apos; around and everyone was very enthusiastic, particularly council member Diana Reyna [of the 34th Council District], who put the drawings up on her office wall." NBDC consolidated funds from sources that included councilwoman Reyna, borough president Marty Markowitz, and various state grants. An additional fund, created by the new owners at the building, was set up to meet the total costs. Founded in 1979 by Greenpoint&apos;s civic and business leaders, NBDC has been committed to the creation of an invested local citizenry through neighborhood development, employment and education. Its housing program aims to preserve existing housing stock – in keeping with the neighborhood&apos;s unique character – and to induce economic development through affordable housing programs for low-income residents. In every sense, according to NBDC chair Richard Mazur, the Herbert Street project has been a huge success. "It&apos;s the perfect marriage of community, government and historic preservation," he says. "I have never seen a better example of creative reuse of a government building." In a scenario familiar to UAI, the renovation was guided at every stage by state historic preservation and city landmark regulations. "The outside had to be approved by the New York City Landmarks Preservation Commission," says Hirsch, "while the inside was the domain of New York&apos;s State Historic Preservation Office, so we had to work around two agencies. They were coming at us from both sides." Despite the building&apos;s somewhat dilapidated appearance at the beginning of the project, it had fared remarkably well. In fact, UAI was able to carry out the renovation without the help of a structural engineer. "It&apos;s a very well-built building," says Hirsch. 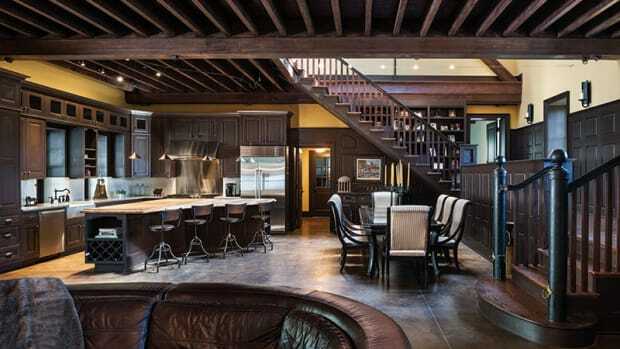 "The structure of steel beams and cast-iron columns supporting the wood members was totally intact, and the carriage house is a simple little building of the scale of a brownstone, so there was never any major restructuring. Despite being vacant for years, there were no leaks from the roof. There was some beam damage in areas where the plumbing had deteriorated over the years, but that is expected. It was really solidly built, which made us feel confident about renovating it." The exterior, also mostly intact, had to have a cosmetic facelift. Historic brick was re-pointed and cleaned on all façades, and any damaged or loose bricks were replaced with bricks to match. Metal lintels and decorative ironwork were repainted, and, in the case of a decorative railing on the front façade, reconstructed and reaffixed. "The railing and its stone support over the front entry had been taken apart and preserved inside during the earlier phases of the project," says Hirsch. "The stone has a beautiful foliated decoration to it – and, because it had been saved, could be copied and replaced so that you wouldn&apos;t know today that it was not the original material. 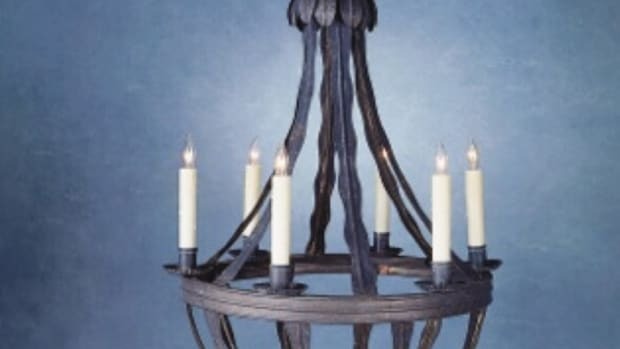 Credit for this special restoration goes to our contractor, Bob Starzecki of MCR Restoration, who found the craftsmen throughout the job who could duplicate the work of their counterpart of more than a century ago." Given the limited funds available, it was decided that the public area would be more embellished than the apartment interiors. The hallway&apos;s oak floors with decorative mahogany corners, wood wainscot, restored tin ceilings and schoolhouse lights give a traditional 19th-century feel, while oak-panel doors add a level of luxury quite unexpected in an affordable housing project. As code would not allow for transom glass above the doors, this upper portion of the frames were filled in with light colored, painted gypsum panels. "We got together with the developer and the contractor on paint colors for the wood trim and wainscot in the hallways and must have changed them two or three times," says Hirsch. "We refused to settle until everyone agreed." The building has four apartments per floor, connected by a reproduction of the original staircase. The entire building is structured around four steel columns, one of which UAI decided to leave visible in the hallway. "It had a really nice capital, so we built the wall around it and left it exposed," says Hirsh. "We cleaned up the cast-iron and painted it the perfect color. We wanted to see a vestige of the old structure coming through." Perhaps the biggest transformation of all is the carriage house. Its hayloft is now a two-bedroom apartment with two skylights. The first floor carriage entry, previously remodeled from the original with a commonplace garage door for the paddy wagon, was transformed to appear more like the double-leaf oak barn doors of the horse-and- buggy era. Two ocular windows, positioned on the second floor to either side of a one-over-one wood window, give the carriage house a nautical feel. 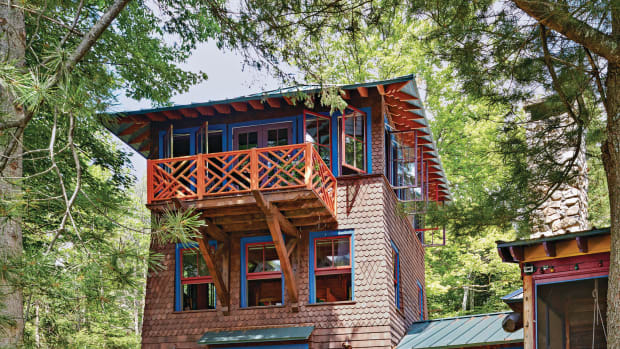 The only connection from the first floor of the carriage house to the second was via a circular steel stairway, which was not appropriate for converting the upper floor for residential use. UAI was able to convince the Landmarks Commission to allow them to remove the roof of an adjacent oil tank room and extend it to the second floor for a proper stair connection. 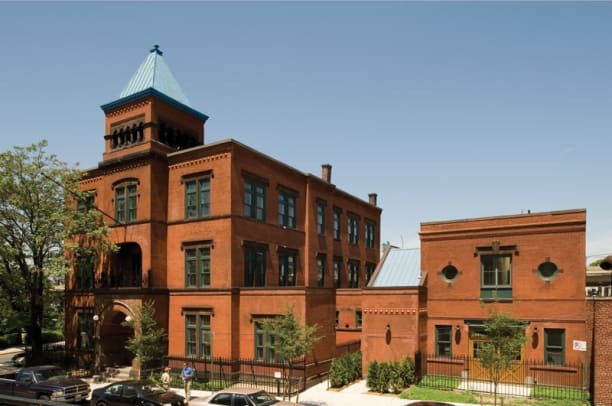 This was accepted when the Landmarks Commission was convinced that the new brick would match the original, the decorative pressed brick cornice of the one-story structure would not be harmed and the new roof would match the material and color of the metal roof over the cupola of the station house. The building&apos;s proximity to the Brooklyn-Queens Expressway meant that Landmarks-required wood replacement windows were simply not enough to meet sound attenuation regulations for city-funded housing. Acoustical engineers required a second layer of aluminum interior windows with an air space between to sufficiently reduce traffic noise. The design of the heating and air conditioning system had to be internal to each unit so the windows could remain closed. After 19 months of construction, the Herbert Street Condominiums were completed in 2010. For UAI, dealing with a number of organizations and complex funding processes was nothing new. The firm has worked on a number of public and urban revitalization projects over the years, many with NBDC and Mazur. As Hirsh says, "It&apos;s like a family thing with them – I&apos;m older than Mazur, but he still calls me his son." A 19th-century carriage house on the grounds of the famous show stables, All Around Farm, is restored and reinvented as a primary residence by Archer & Buchanan. 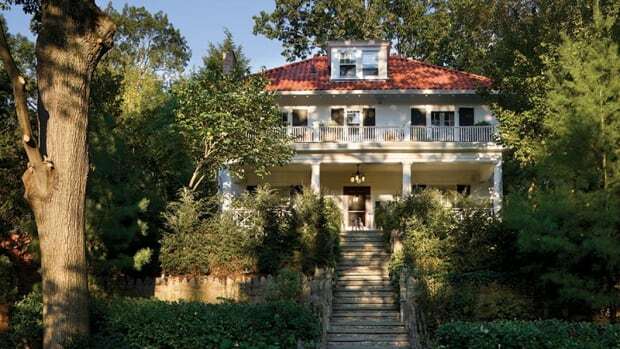 Architect Gary Brewer restores an American Foursquare house in the historic Park Hill section of Yonkers.